Poeformology | Poetic forms explained simply (most of the time). Poetic forms explained simply (most of the time). 1. I have not written in form for quite some time now. And I have not written anything at all for half that time. I had written in free-verse in the interim. I don’t post them online, but you can check out some of my work in Hemingway’s Playpen’s issue 2 and nin journal‘s vol. 1, issue 1 (NSFW). 2. I’ve restructured the way I normally post (as you will see in this one) to make my posts more organized. I.e., paragraphs will be divided into sections. I decided to go with the Echo Sonnet today. I can’t believe it’s been 2 years. I’m finally back home. I’d like to keep the coming-back-home speech short: Gained a bit, lost a lot more. Reading back on what I did with Poeformology at this, the lowest point in my life, makes me question why I was ever so unhappy with what it was. I guess clinical depression makes you appreciate things you couldn’t when you didn’t have it yet. I apologize for not having updated in months. I’ve just been so busy with life and Modern Day Epic. Anyway, this semester, I’m taking Creative Writing, and we’re doing clerihews next week, so I thought I’d get a head start. The clerihew was one of the poetic forms I wanted to try first when I started Poeformology, but I never found the perfect subject to write about. My, it has been such a long time since I uploaded something on here! I am still alive and well, dear followers and friends. I’ve started a new blog at Modern Day Epic, if you haven’t seen it. It’s a fun science fantasy blog series that has a little bit of something in it for everyone. Give it a read. Okay, so enough shameless self-promotion. Yesterday, I found an interesting post. I cannot find the link, and I am deeply sorry about that. 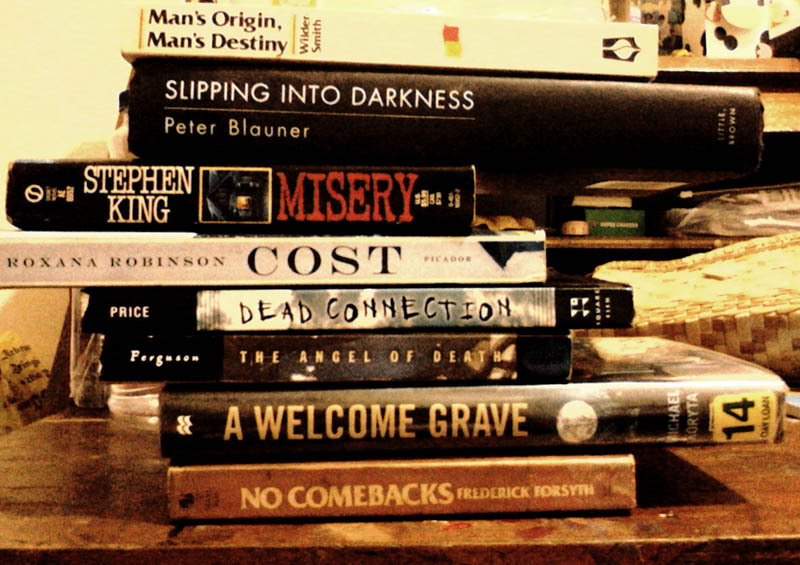 Anyway, the post featured something called “Spine Poetry.” I think it’s such a clever use of book spines, and I can’t believe I’ve only heard of it now. An in-depth study on different poetic forms and an indulgence of oneself therein. Judd Labarda is a poet with a propensity for Pokemon and pumping iron. He lives in the Philippines, has a degree in secondary education, and is unemployed. Yay. His poetry's been published here and there.